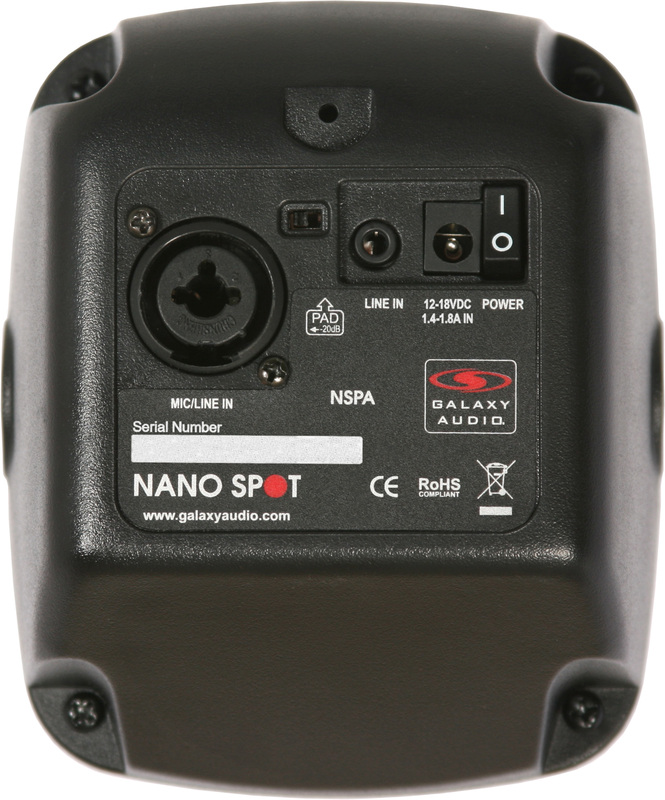 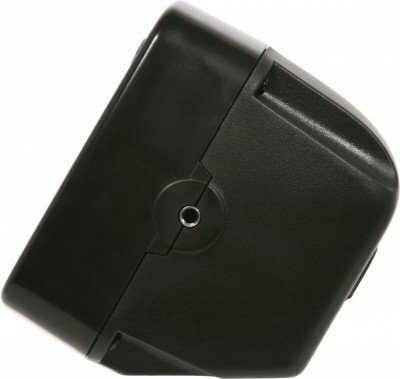 The Nano Spot is the smallest member of the Hot Spot family. 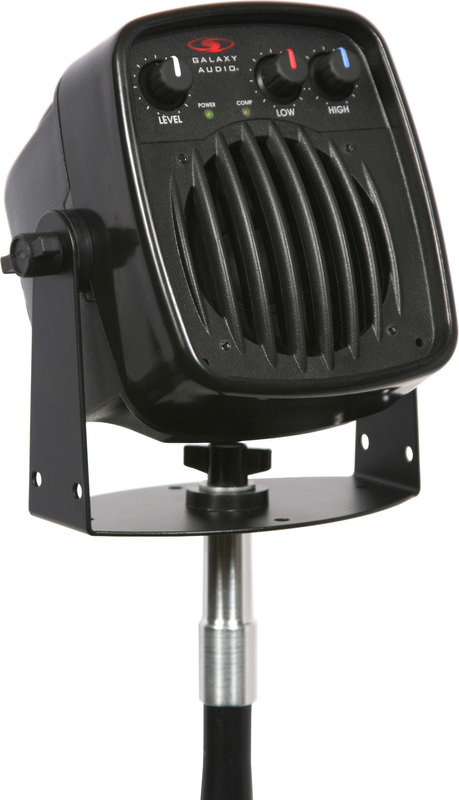 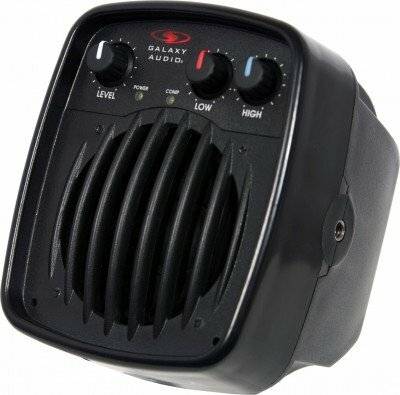 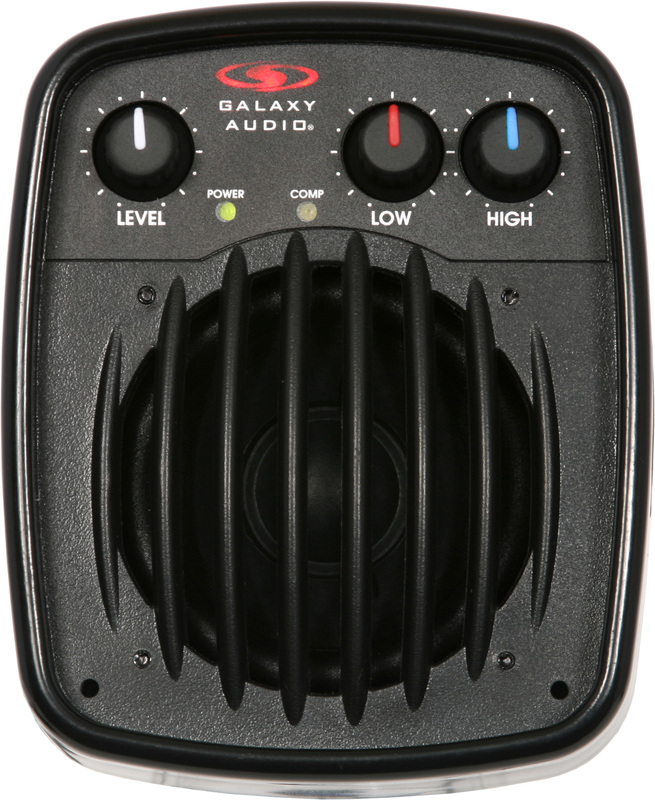 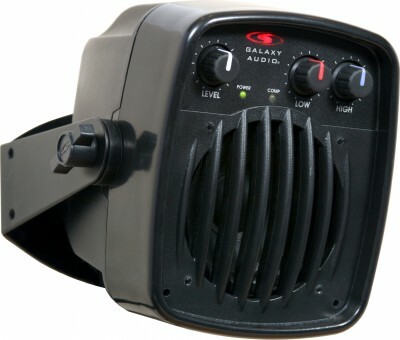 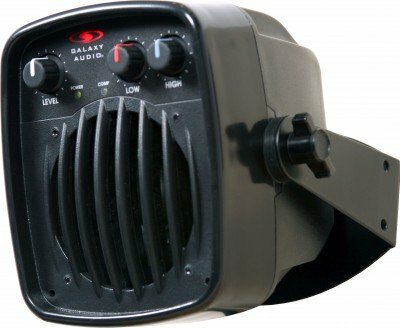 Featuring a 3" driver, it has three inputs on the rear panel: XLR, 1/4", and 1/8" stereo summing. 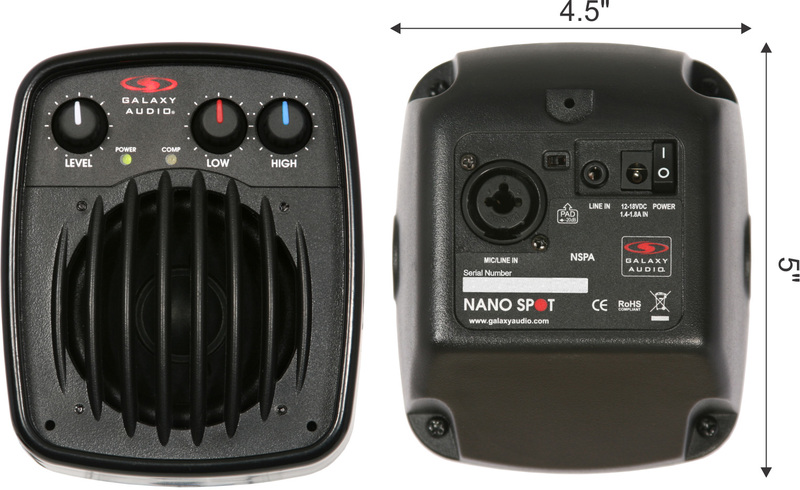 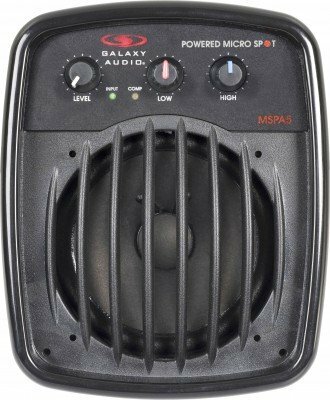 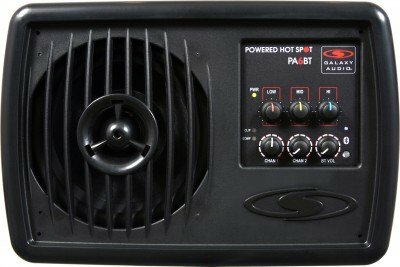 With 24V Phantom power, a 20dB pad, and built-in compressor, you can go directly into the Nano Spot from your source or microphone. 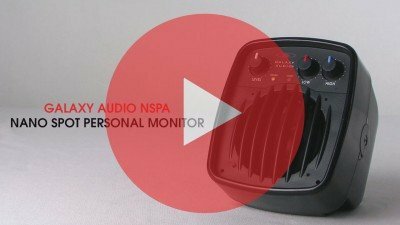 The NSPA can be used in call centers, computer monitoring, on the bar or patio* in a restaurant, and many other applications. Will mount a unit to any microphone stand. 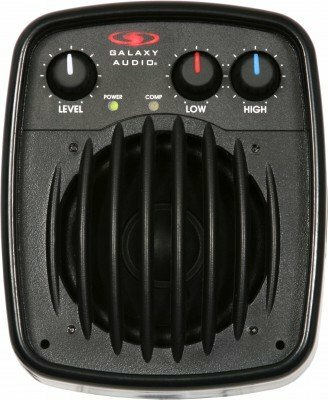 Works with all HOT SPOT MONITORS. 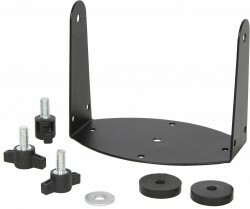 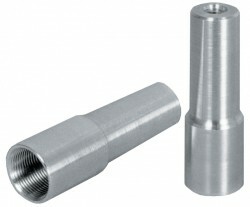 Included Yoke Bracket and hardware kit for NSPA. 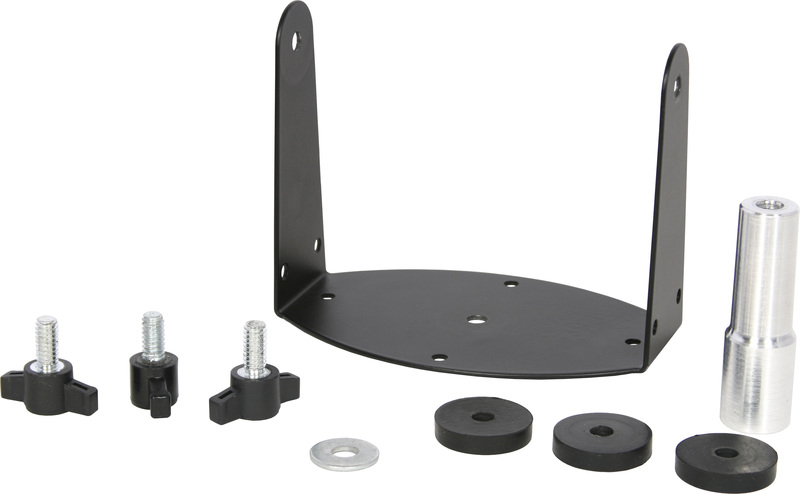 Will allow for mounting to wall or mic stand. Spun aluminum stand adaptor Will mount a unit to any microphone stand. Works with all HOT SPOT MONITORS.